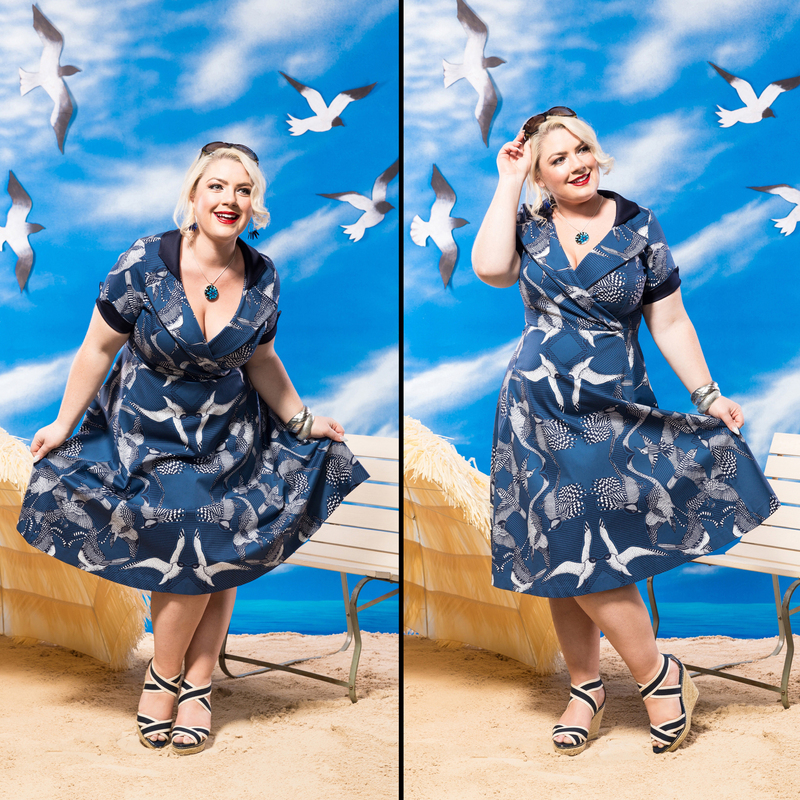 Amy is looking fabulous in our new tailored frock, the Jardin de la Riviera. Seen here in FULL FLIGHT. This beautiful dress features a double collar with cross over bodice, sleeves with contrast cuffs and a full skirt. It is an incredibly flattering dress that suits women with varying bust sizes. Wear this stunning cotton blend frock by itself or team with a belt to compliment the contrast detailing. Amy is also wearing a pendant necklace by QLD designer, Melanie Augustin (available in store).